Maybe I’ve mentioned it, but I’ve loved the Texas Rangers since 1982. 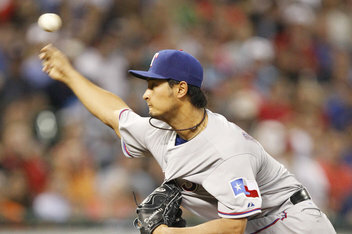 Yu Darvish’s pitching performance tonight in Houston is one I won’t soon forget. Yu is kind. Yu is smart. Yu is important. Don’t worry, we’ll get to see someone throw a perfect game against the Astros this season.